Textile industry professional Ahmad AD and his friends often found themselves sitting together for meetings, as most professionals do. The decision making and the brainstorming felt incomplete without food at those sessions. Ahmad felt that easy access to food, in meetings or elsewhere, matters to them significantly and he thought it would be useful if there was a way to order food without having to rely on what the office peon could find nearby. “That’s when the idea popped up. We used to order food through someone, who would take the details from us and then go buy the food for us. We thought about a service that will expedite the process,” said Ahmad. In 2013, a year later after he started thinking about this, Ahmad and his friends – Sajid Rahman and Tausif Ahmad – founded what was the first food delivery service in Bangladesh: HungryNaki. More companies materialized within months. Ahmad’s decision to start HungryNaki reflects a worldwide rise of the food delivery industry. 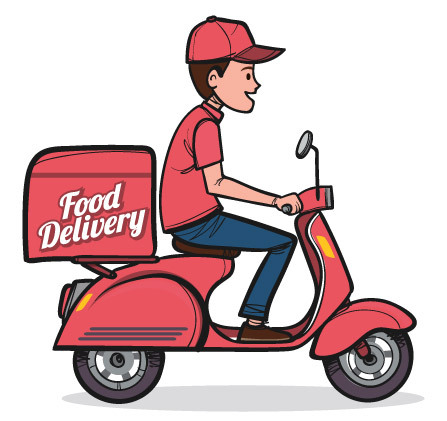 In 2016, the market for food delivery stood at over $99 billion, which amounted to one percent of the total food market and four percent of food sold from restaurants and fast-food chains, according to figures from management consulting organization McKinsey & Company. For the global food delivery industry, revenue is expected to show a Compound Annual Growth Rate (a measure of growth over multiple time periods) of 17.7 percent from 2018 – 2022, resulting in a market volume of $234.206 billion in 2022, market and consumer data provider Statista’s calculations projected. T In April of this year, the Chinese e-commerce giant Alibaba acquired food delivery platform Ele.me in a $9.5B deal, bagging Ele’snetwork of three million riders to battle harder in the on-demand delivery market. Alibaba had already owned 43 percent of the company’s share before sealing the buyout deal. The industry has been metamorphosing into a much bigger creature, with online platforms springing up rapidly in a bid to capture huge markets across continents. In the traditional model, restaurants used to offer delivery. But digital technologies made it possible for independent third parties to carry out the delivery, which gave rise to the food delivery industry, with players like Deliveroo and Foodpanda achieving global scale. Before that, the aggregator system was more prevalent. Aggregators are basically services that provides a platform for consumers to select from the list of restaurants it features and order through its portal. The aggregators essentially reach their reservoir of menus from different restaurants to the consumer’s PC or handheld device and take care of the payment, while the actual delivery is handled by the restaurants, unlike the new delivery services. The aggregator model is seemingly being phased out in Bangladesh, but may potentially come back if the companies providing delivery deplete their expansion ability. When HungryNaki and Foodpanda started operations in 2013, a local aggregator called ‘Khana Hero’ had been operating in the market. Khana Hero later partnered with a third party for providing delivery, essentially shedding its aggregator status. The company eventually shut down in 2014. With the advantage of operating with light asset, aggregators can more easily add and accommodate growing number of restaurants. They earn from charging the client restaurants a percentage. But there are variations within this model. Devfood, an aggregator service, doesn’t take any commission. It presents menus from restaurants on its platform for free of cost and charges $30 per month for client restaurants’ own branded iOS and Android apps with Web ordering features. As a result, customers see that they are ordering from the app or website of the restaurant that will prepare the meal, as opposed to a third party site or app hosting restaurants. After the order, restaurants carry out their own delivery or partner with a third party who does it for them. One of the reasons for these restaurants to not adopt the ‘new delivery system’ is to focus on local, existing and loyal customer base, instead of potential expansion. Services like Devfood allows restaurants to give their customers a more personalized treatment. The new delivery system, on the other hand, solves a lot of the logistics issues and makes it simpler for the restaurants to expand their periphery and reach out to a much broader customer base. The industry for on-demand meal delivery across the globe is seeing not just growth, but fierce competition. It is so fierce, in fact, that in some places, companies attempting to win over customers is resulting literally in free meals for hundreds of thousands of people. Just last month, Chinese food delivery service Didi, right after it launched in China, in the city of Wuxi near Shanghai, offered first-time users of the service a 20 yuan ($3) coupon, among other aggressive discounts. Days after launching the service, it announced that its share of Wuxi’s food-delivery market was already over 30 percent, with 334,000 orders generated on the first day alone, Zheping Huang of Quartz reports. The rivals responded to counter the invasion. Alibaba-owned Ele.me andTencent-backed Meituan took quick steps to engage in the discount-promotion battle in Wuxi. Customers ordering from these services have been posting on social media how they are getting full meals for almost nothing. A Meituan customer posted how she paid only ¥0.01 for a ¥32.5 order. The tense competition has trickled down from company’s policy making level to its workers, with a video surfacing where Ele.me motorbike riders in Wuxi chant: “Kill Meituan, Crush Didi, Ele.me is fighting with you,” Zheping Huang reports on Quartz. Meituan and Ele.me also responded by removing Local restaurants that were newly listed on the Didi app, Wuxi’s commerce bureau confirmed. The food delivery markets in different regions are also seeing a growing trend of e-commerce and ride sharing companies acquiring food delivery companies or starting their own service. Close to the time of Alibaba’s full buyout of Ele.me, Didi started its own food delivery. The company had been operating as a ride sharing service and its competitor Uber has recently become a stakeholder. Similarly, in Bangladesh the leading bike ride sharing service Pathao launched its food delivery service ‘Pathao Food’ in January of this year. However, the trend is not new. Since its launch in 2014, Uber’s food delivery service ‘Uber Eats’ has expanded rapidly and now operates in a number of countries, including Abu Dhabi, Australia, India, UK and Canada. It has also closed gaps significantly with its main rival in the US: Grubhub; and becoming the fastest-growing meal delivery service, Business Insider reported last month. Uber Eats grew so much that it doubled its sales and almost matched the market leader Grubhub’s dollar-for-dollar growth between August 2017 and February 2018, the report notes, citing data from Second Measure. It’s not clear why Uber Eats isn’t following the same strategy as Grubhub, which is simply acquiring as much as possible. Grubhub has been acquiring relentlessly to build a network that spans across the US. Since 2011, the firm has acquired 11 companies, including Seamless, DiningIn, and Eat24. Much of the ongoing evolution and the subsequent nature of the industry are being decided right now through these acquisitions and expansion by investment. Pathao’s wild ride into its ongoing success has earned it a “pre-Series B” investment led by Go-Jek, Tech Crunch reported at the end of April. The transport, ride hailing, logistics and payment provider Go-Jek is the largest Indonesian Unicorn company that currently has over 400,000 riders and drivers. This is the second round investment in Pathao by Go-Jek, with another one preceding it last year. TechCrunch reported that according to its source(s), the undisclosed amount in the second round might have been $10 million. Pathao now has a valuation that exceeds $100 million, which is over Tk840 crores. Pathao co-founder and CEO, Hussain Elius claimed at the end of April that his company is the leader in the food delivery market. “Food, we started just in January, and we are already number one in food market, just in three months,” Elius said while talking to CNBC’s ‘Street Signs’ program at the end of April. One of Pathao’s main rivals Foodpanda, owned by European delivery giant ‘Delivery Hero’, is now facing tough competition, as Pathao aggressively scales up. However, the company has enjoyed steady growth since its beginning four years ago. 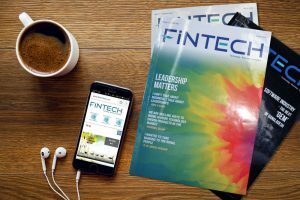 “We have over 100 percent year-wise growth,” Ambareen Reza, the managing director and co-founder of Foodpanda Bangladesh told Fintech. To stay ahead of the game Foodpanda emphasizes on constantly upgrading itself. “If you look at our new app, you will see how much improvements we have made there. It needs few clicks, has lots of customized options and updates you from the restaurant kitchen to your doorsteps,” Reza said. HungryNaki on the other hand are eying to expand into other food related services and go beyond just delivery. But AD Ahmad, the co-founder and CEO of HungryNaki also thinks that adoption of technological invention will determine who stay ahead in the market. “The more technology advances, the more AI will be important. Food delivery is very much within the purview of this. If one day you find a robot coming to your house for cooking you a meal, don’t be surprised,” the HungryNaki CEO told Fintech. Ahmad’s intuition is of course correct, as evidenced by giant market players clamouring to try all sorts of innovative technologies. In the beginning of May 2018, Alibaba launched its own blockchain-encrypted platform, the Food Trust Framework, meant to immaculately monitor the e-commerce giant’s foodstuffs and produce delivery. Although this is not currently implemented in Alibaba’s food delivery business, it might potentially bring big changes in how orders are tracked and delivered. Other innovative approaches, such as preparing the food on the way to delivery is also gaining ground. The US based Zume, which cooks pizza in its delivery vans, announced a partnership this year with food service appliance maker Welbilt to deliver Zume Pizza in a new generation of delivery vehicles that are equipped with Welbilt appliances. This partnership will also allow Zume to open up its platform to other food companies that want a more flexible system to cook en route and meet customer demand. 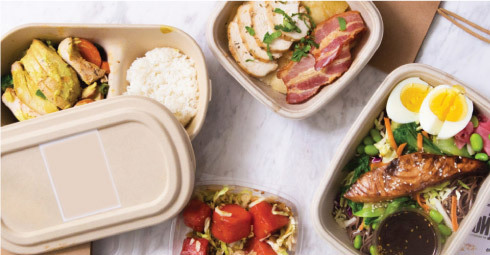 The partners hope to disrupt the $43 billion food delivery market in the US, Dean Takahashi reports in Venturebeat.com. But innovative ideas don’t have to be purely technology based. Unique policy making matters too. The leading British food delivery service Deliveroo, which operates currently in 12 countries, launched a support site last month for restaurants to help them reduce everyday business expenses. The company has also unveiled a new portal offering restaurant staff benefits and discounts to boost staff retention. 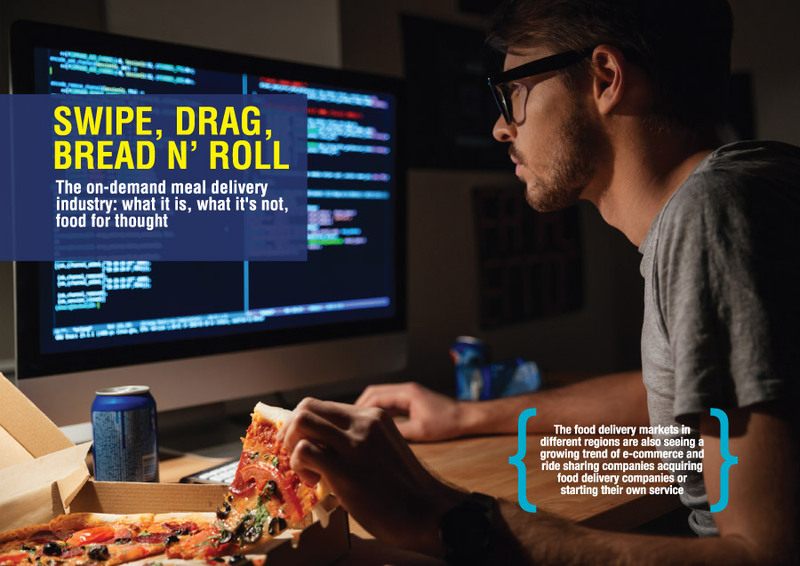 The brand new Deliveroo restaurant website is part of efforts from Deliveroo to broaden its offer to restaurants beyond just the increased sales and revenue associated with listing on the platform. But the most imminent and certain technological paradigm shift that is about to take place is delivery by machines. Delivery drones have been undergoing development for a while. In 2016, Flirtey, a drone delivery company, partnered with Domino’s in New Zealand to launch the first commercial drone delivery service. Alongside drones, on-wheel robots are also being tested and are on the brink of gaining commercial use capabilities. London based robotics startup, Starship Technologies last month announced its first large-scale deployment of autonomous delivery robots on corporate and academic campuses across United States and Europe. The company plans to roll out 1,000 vehicles by the end of 2018. Starship’s robots had been test running delivery for San Francisco based on-demand food delivery company DoorDash since early 2017. DoorDash went onto incorporate robots from another company, Marble, later last year. “Robots are an exciting initiative for us and we’re proud to be doubling down on our tests here by teaming up with Marble,” the co-founder and the Chief Product Officer of DoorDash, Stanley Tang wrote on the company blog. On-wheel delivery robots like these, however, are unlikely, if not impossible, to operate in places like Dhaka, where the traffic condition is hostile and footpath routes, through which these bots mainly commute, are equally crowded. But smaller distance delivery may be possible in some places, given the areas have operable footpath infrastructure. Drone delivery through the air, however, seems more plausible. The Civil Aviation Authority Bangladesh (CAAB) currently allows for drone operation, as laid out in the Circular for Operating Remotely Piloted Aircraft Systems (RPAS). However, it does not permit “fully autonomous systems which do not allow the pilot to intervene.” These are “not permitted due to the potential unpredictability of their flight profile.” This means drones must be flown by human operators.